Trek Bike Corporation has recalled about 1 million bicycles in our country to prevent injuries resulting from an issue with safety. This safety problem has caused many injuries. These include a bike rider suffering paralysis. Another rider fractured his wrist, while a third rider suffered from facial injuries. Your Free Trek Bicycle Lawsuit Evaluation: If you believe that you or your loved one have suffered from an injury because of an accident that occurred on a Trek bicycle, you should contact Carabin Shaw at once. You or yours could be entitled to financial compensation through filing a lawsuit against manufacturer Trek USA. Our lawyers are experienced at helping with this. Did Manufacturer Trek Fail to Issue the Proper Warnings to Riders About the Dangers of its Quick Release Lever? April 21, 2015 – The recall, so far, involves manufacturer Trek’s bicycles built with a Shimano manufactured ‘quick release’ lever up against the front wheel which can jam up with the disk brakes. This can, and has, caused the wheel to stop suddenly or separate away from the frame of the bike while a rider is aboard. According to Federal Agency, “The Consumer Product Safety Commission (CFSC), this has happened more than once or twice. When this happens, any rider is highly likely to be thrown forward over and across the handlebars and could be badly injured. The affected bicycles were made for “model years” 2000 to 2015. These were sold starting in or about 1999 for $480-$1,650. Manufacturer Trek has said it will try to replace this quick release lever for consumers for free, and has offered a $20 coupon for the purchase of accessories for Bontrager bikes. This bike recall affects at least 900,000 Trek made bikes in the United States and at least 98,000 made or sold in Canada. 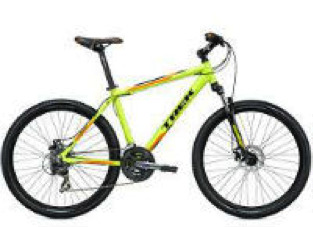 Manufacturer Trek has admitted to no defect in manufacturing the bikes. It says the unfortunate injuries and the problem which caused them is because of lack of proper use or proper adjustment of the brake and/or release lever rather than any flaw with the bike or its component parts. However, bile riders who get injured are highly likely not to agree with this evaluation of the problems. Trek also claims and argues that the brake levers or brake “skewers” are in fact not manufactured by Trek. It claims that a third-party component part company made these parts, and thus some bicycles actually manufactured and shown as made by other manufacturers and sellers may also contain these parts. You don’t need to worry personally about these details. Call an experienced products liability injury lawyer and let them worry about the details. Our products liability injury team has over 20 years of experience sorting through the smoke screens product manufacturers throw up to try and avoid liability. Call one of our experienced legal team members today. Your initial consultation in any injury case is always free. We have Spanish speakers and Spanish interpreters standing by to assist you.